TU/e participates in a number of rankings and ratings in the area of sustainability. These rankings give insight into our progress and help TU/e in the further development of its sustainability policy. Every year student organization Morgen organizes the SustainaBul, the prize for the most sustainable institutions for higher education. The TU/e ranks first on in 2018 SustainaBul-ranking. 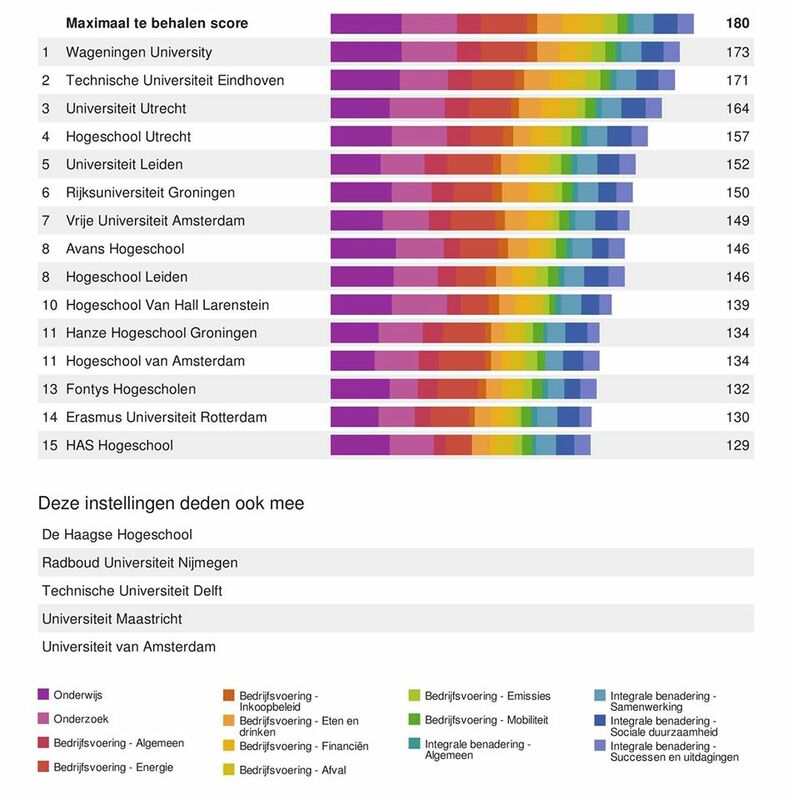 The list ranks Dutch higher education institutions based on the sustainability performance. The jury praised the university mainly for its student teams working on sustainability projects. One of them is Solar Team Eindhoven, three-time winner of cruiser class of the World Solar Challenge. Another example is TU/ecomotive, with its fully recyclable car. Check news item. In 2017, TU/e has achieved the second position for the second time, behind Wageningen University. Next to that, TU/e has won the Award for the most iconic project for integrality of research, education and business with the Atlas building on the campus. 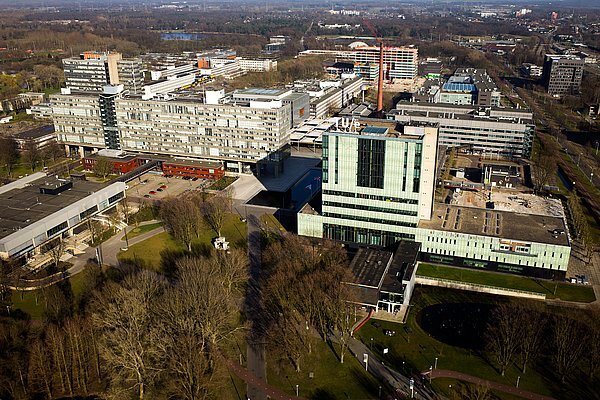 In 2016, TU/e won the Golden Certificate for the second position of all universities, behind Wageningen University, and second position of all higher education.Check out the score list. In 2015 the TU/e gathered the 10th position. In the UI GreenMetric World University Ranking,an international sustainability ranking for universities, TU/e attained the 36th position in the general ranking in 2013. This makes TU/e the most sustainable of the four participating Dutch universities. TU/e has been awarded for being one of the most Green and Sustainable Higher Education Institutions in the World, by Coolmyplanet.org. TU/e received a Environmental Sustainability Certificat. Check out the top 50 of the most green and sustainable universities in the World.